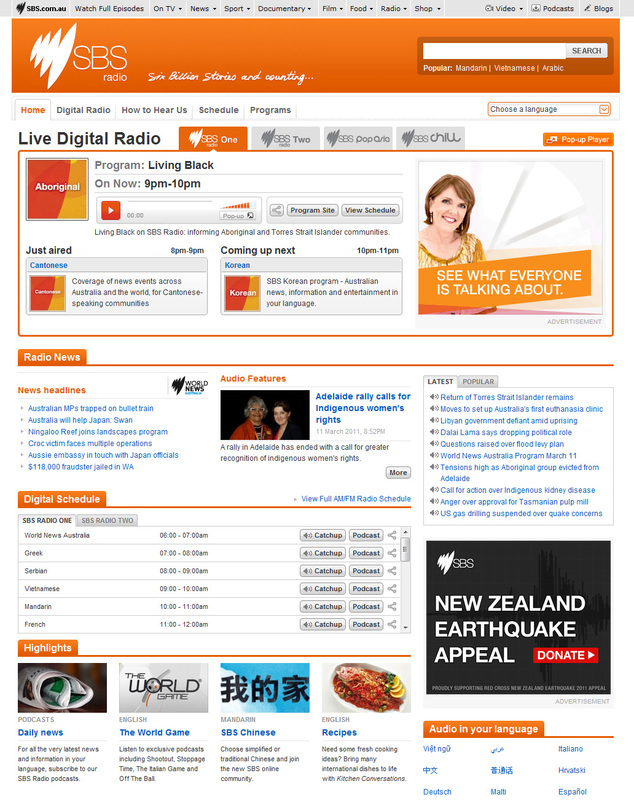 SBS Radio website was designed for SBS (Special Broadcasting Service) as an inhouse contract. The aim was to promote the new digital radio broadcasts and allow the user easy access to live streaming radio shows and switch between digital radio channels. 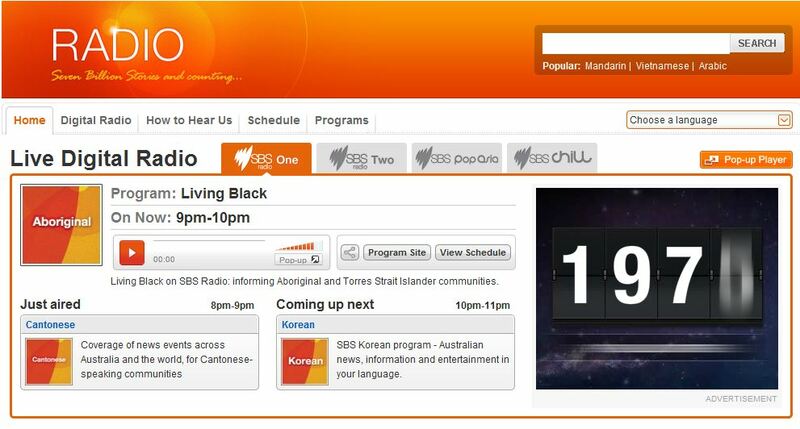 The design had to be clean, inline with SBS’s branding guidelines and contains tabbed browsing to view events, schedules, podcasts, highlights and switching between the 68 language programs offered by SBS.